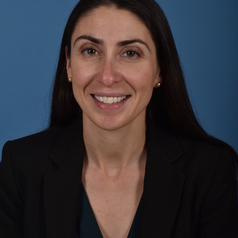 Dr. Roya Ijadi-Maghsoodi is an Assistant Professor-in-Residence in the UCLA Department of Psychiatry and Biobehavioral Sciences and an Investigator at the Center for the Study of Healthcare Innovation, Implementation & Policy within the VA Greater Los Angeles Healthcare System. Dr. Ijadi-Maghsoodi’s research concentrates on improving care for vulnerable populations in the community, including homeless families and high-risk youth with trauma. She is currently funded by an AACAP NIDA Physician Scientist Program in Substance Abuse K12 award to focus on improving care and adapting a resilience intervention for homeless families with parental substance use disorders. She is a board-certified child, adolescent, and adult psychiatrist, and provides care at UCLA and to women veterans and veterans with a history of homelessness at the West Los Angeles VA Medical Center.